To compete for new customers and retain your existing customers, you must offer products and services that make their lives more convenient and aren't available at every financial institution. One great service to offer is a retail investment program, which gives customers the opportunity to consult with a professional financial advisor and have investments right at your financial institution, where they already go for loans and banking services. When I meet with bank and credit union executives, I always ask them to describe their sales culture. The responses I get are usually similar and typically sound something like this: "we don't push sales but we do have goals;" "we are focusing on becoming more of a sales culture;" or "everyone has goals, but if we don't reach them, nothing really happens." Disintermediation is a very sophisticated-sounding word that we might feel smart for using but is one that I think should be retired from the lexicon of the retail investment program space. I can share data and personal success stories proving that not only can financial institutions and investment programs peacefully co-exist, but investment programs actually provide a tremendous benefit to banks and credit unions. If you still aren’t quite convinced, you need only consider the huge impact the baby boomer generation will have on your business. You want your institution's members to have the best customer experience possible. As you evaluate ways to improve, consider how your retail investment program fits into your overall product mix and helps members meet their life goals and investment needs. Here are six elements to look for in a dedicated investment program partner. Alex Spencer joined SWBC as Director of Financial Institution Programs in 2016. He is responsible for establishing and maintaining relationships with institutional clients. 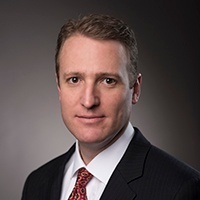 His prior experience includes work as a Financial Advisor and Sales Manager at Guaranty Bank and as RVP and Manager of Investment Products at CUNA Mutual Group.